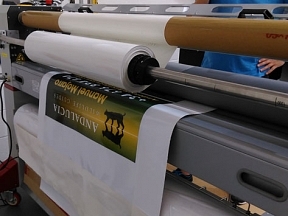 This is where a clear gloss lamination (protective vinyl) is applied over your print. The lamination provides protection against physical contact and adds UV durability to prolong the life of your sign. Is this something I need? 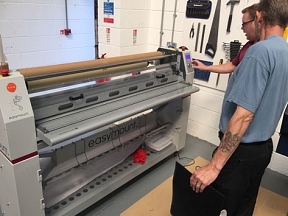 It really depends on the environment and the lifespan of your sign, modern UV prints are very durable without lamination and the machine and ink manufacturers do state that the inks do not require lamination. Experience tells us that lamination will certainly add longevity and will add protection against physical contact. Important: Although lamination is clear it does have a very slight colour within its adhesive, this will make a slight change to your colours, in most cases this is so minimal it can’t be noticed, however if you do compare a non-laminated to a laminated print you are likely to notice a minor discrepancy in the two.